The inventors of Lean Product Development graced us with the concept of the MVP — the Minimum Viable Product. The idea is that you identify the absolute minimum feature set necessary to test the validity of a product, and then you launch it. When it comes to validating ideas, conversion optimization tools make you leaner than Lean. You’re ultra lean. You’re 45-days-in-a-lifeboat lean. You’re hide-behind-a-flagpole lean. Instead of building an MVP, we prefer to build an MVNP: the Maximum Viable Non-Product. The idea is that you identify the absolute maximum feature set without actually building anything, then you launch it. While we’re not in the business of validating markets per se, we do spend a great deal of time building facades, fronts, simulations and prototypes to see what will make a website more productive before we invest. This is why the entrepreneur creation company Tech Ranch asked me to present to their Venture Forth entreprenuers on the topic of market validation. I summarized my presentation in a column for Marketing Land entitled Using Conversion Optimization Tools to See if That Product Will Fly. Listen here. The main reason we like the MVNP concept is that, if you spend all your money building an MVP, what will you use to test your ability to market it. How many good products have been killed simply because the market never heard about them. 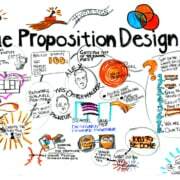 The testable market is defined by your ability to reach your addressible market.I think it’s more important to figure out if you can market an idea to an audience cost-effectively than to find out if people will use it. The role of secondary and primary research. The role of qualitative and quantitative research. 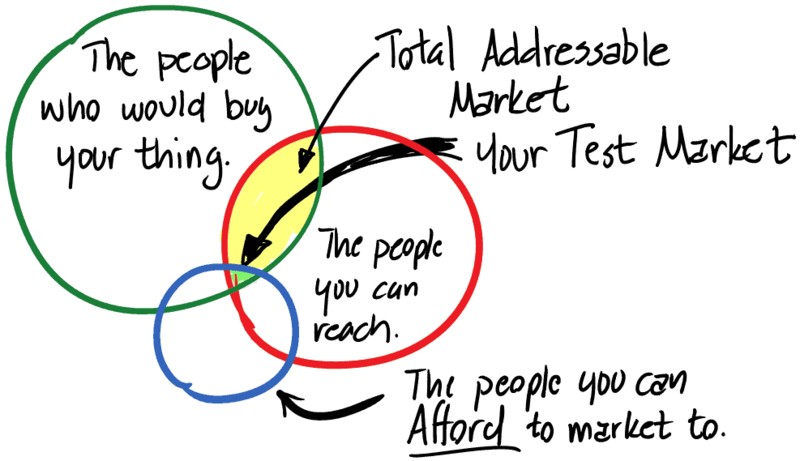 The difference between the total market, the addressable market and your test market. How to design an MVNP. Listen now and go to the article to see the visual aids.